In 2005, an initiative was led by David Williamson, the then Assistant Grand Master, to introduce Freemasonry to young men studying at various Universities in England. The Initiative, known as the Universities Scheme was established by David Williamson, President and Oliver Lodge, Grand Director of Ceremonies, as the initial Chairman. They have put into practice ideas that had been gleaned from Apollo University Lodge at Oxford and Isaac Newton University Lodge at Cambridge. Both of these very successful University Lodges have been in existence for over 150 years. The initial objectives of the Scheme were to “establish and enhance arrangements for undergraduates and other University members to join and enjoy Freemasonry”. Universities Scheme Lodges were quickly established in other University towns in England. In contrast to most normal lodges, Scheme lodges have to look at aspects such as dues (or fees payable by student members), dress code, scheduling Lodge meetings with University terms and exam schedules, recruitment, dining fees, the processing of multiple applicants and numerous other challenges that may also arise. The Scheme also recognises that many young members are drawn away from their place of study when they enter their work careers. This is catered for by the network of lodges within the Constitution which act as “receptor” lodges for graduates who move to other centres both in England and overseas. All of these challenges have been discussed at Scheme Conferences which are held every two years. The Universities Scheme now has 59 lodges spread throughout England and Wales as well as one lodge in the District of Jamaica and the Cayman Islands and two in the District of South Africa North. Please visit the Universities Scheme of the United Grand Lodge of England website for further information. In 2010, it was evident that various lodges in the District of South Africa North were, through intensive recruiting and information dissemination, starting to attract young men into Freemasonry. These candidates were often students from a tertiary education facility and enthusiastically embraced their new hobby – Freemasonry. A steering committee was set-up with WBro Chris van Gaalen acting as the liaison with the District Grand Master. The remaining lodge members at the time agreed to hand over control of the lodge to this steering committee who became joining members, moved the lodge to Johannesburg and enthusiastically set about the task of carving a successful lodge from the raw material presented. The lodge has so far initiated 18 candidates from our local tertiary educational institutions and is flourishing. 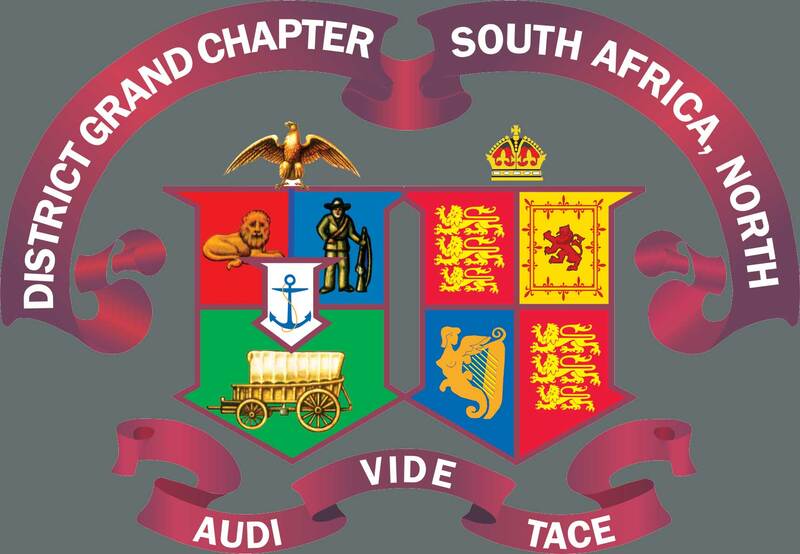 It meets six times a year at the Park Lane Masonic Centre in Johannesburg on the First Monday evenings of February, March, April, August and September and the Installation meeting is held on the First Thursday evening of October. President Lodge runs an Introduction to Masonry session which lasts for about three hours on a Saturday morning, at least three times a year. This session is invaluable to interested persons, mainly non-Masons, who want to find out more about Freemasonry and how to enter into a personal journey in the Craft. It also explains the expectations that Masonry has regarding its members and delves and explores various expectations that you may have regarding Masonry. If Freemasonry interests you, why not attend an introductory session. Details can be found on the Website. It was soon apparent that one of the handbrakes to membership from students in Pretoria was the distance and cost of travel to a Scheme Lodge in Johannesburg. The Rt Wor District Grand Master asked that a second committee be set-up under W Bro Brian McDermott to act as a liaison to the District Grand Master, and learning from some of the experience of President Lodge, another Lodge (Golden West lodge) was moved from Carletonville to Pretoria and transformed into a Universities Scheme Lodge. Golden West lodge applied for and was accepted into the Scheme being the 59Th lodge so listed. The progress and history of the Lodge can be seen on its website. Golden West lodge meets at The Willows Masonic Centre in Pretoria on the First Wednesday evenings of August, September, February, March and April and the Installation meeting is held on the second Saturday evening of July. This development now means that Students or Staff from any of the major tertiary educational institutes in either Johannesburg or Pretoria can find a convenient “Masonic home” at either President or Golden West Lodges. Additionally, the fact that they are both Scheme lodges will ensure that the level of personal attention, mentoring and regard for the applicants study program is already in place. Visit our websites, use the contact details provided to make contact and if you are interested please attend one of our sessions on the Introduction to Masonry. If you were directed to this page on our District website by using the QR code on one of our advertising posters then please navigate your way round our website – it will give you more information and insight regarding Freemasonry and our District.